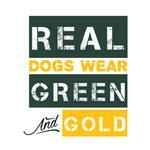 Show off your team spirit in their signature colors of the Real Dogs Wear Green and Gold Dog Shirt! 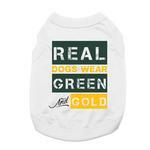 The Real Dogs Wear Green and Gold Dog Shirt brings out the sports fan in your dog. 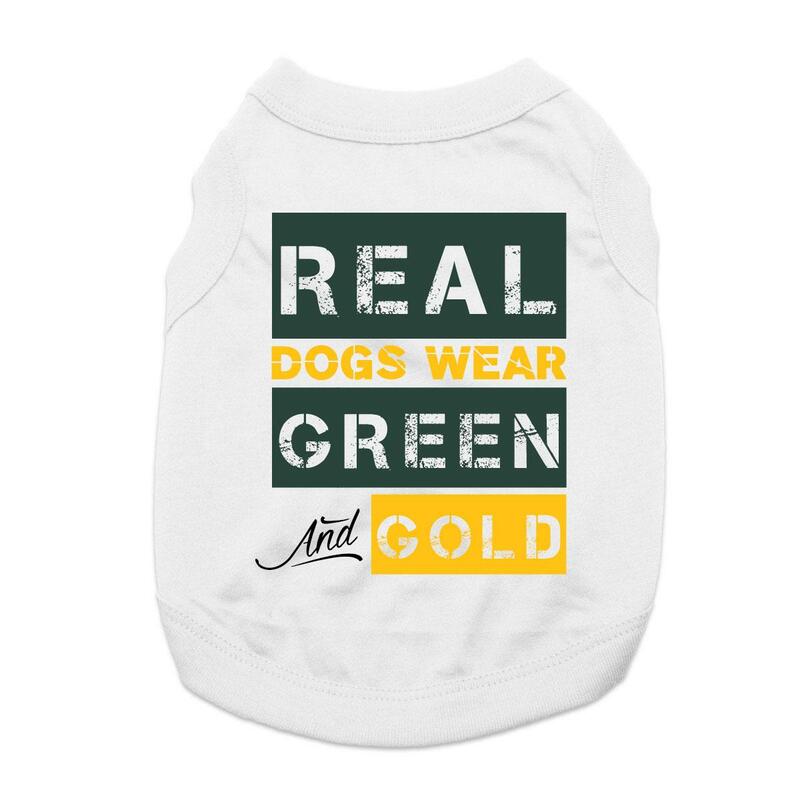 This dog tank features a sleeveless style with a high-cut, stay-dry belly for the ultimate comfort and convenience. This exclusive design is printed right here in our BaxterBoo.com T-shirt Shop for your dog and is available in a wide range of sizes to outfit the whole pack! The 100% cotton is breathable and comfortable. Machine wash cold and dry flat for best results. Great for game day and every day!